Ascetisicm (from the Greek: ἄσκησις, áskēsis, "exercise" or "training") is abstinence from sensual pleasures, often for the purpose of pursuing spiritual goals. With asceticism, wisdom bears fruit. I so detached my heart from the world and cut short my hopes that for thirty years now I have performed each prayer as though it were my last and I were praying the prayer of farewell. There is good reason to believe that man's creative forces cannot be regenerated or his identity reestablished except by a renewal of religious asceticism. Only such a recall to our spiritual foundations can concentrate our powers and keep our identity from coming to dust. ... It is no good to yearn for a new kind of renaissance after such a spiritual drying-up and dilapidation, after such wanderings in the desert of life, after so deep a sundering of human identity. By an analogy we might say that we are approaching not a renaissance but the dark beginnings of a middle age, and that we have got to pass through a new civilized barbarism, undergo a new discipline, accept a new religious asceticism before we can see the first light of a new and unimaginable renaissance. Georg Brandes, “An Essay on Aristocratic Radicalism,” Friedrich Nietzsche, p. 41. Gautama Buddha, Digha Nikaya, M. Walshe, trans. (1987), Sutta 1, verse 1.10, p. 69. Gautama Buddha, Digha Nikaya, M. Walshe, trans. (1987), Sutta 1, verse 1.17, pp. 70-71. What, said Obstinate, and leave our Friends, and our Comforts behind us! Yes, said Christian, because that all which you shall forsake is not worthy to be compared with a little of that I am seeking to enjoy. Anyone whose needs are small seems threatening to the rich, because he’s always ready to escape their control. I call that mind free, which masters the senses, which protects itself against animal appetites, which contemns pleasure and pain in comparison to its own energy, which penetrates beneath the body and recognises its own reality and greatness, which passes life, not in asking what it shall eat or drink, but in hungering, thirsting, and seeking after righteousness. If you wish to make Pythocles rich, do not give him more money, but diminish his desire. Ascesis is an exercise of self on self; it is a sort of close combat of the individual with himself in which the authority, presence, and gaze of someone else is, if not impossible, at least unnecessary. Michel Foucault, Security, Territory, Population: Lectures at the Collège de France 1977-1978, p. 205. Baltasar Gracián, Oráculo Manual y Arte de Prudencia, § 49 (Christopher Maurer trans.). Set a definite limit to your desire. Horace, Latin Quotations (New York: 2005), p. 15. When one sees the way in which wealth-getting enters as an ideal into the very bone and marrow of our generation, one wonders whether a revival of the belief that poverty is a worthy religious vocation may not be ... the spiritual reform which our time stands most in need of. William James, The Varieties of Religious Experience (1902), pp. 367-368. Schopenhauer … makes asceticism interesting—the most dangerous thing possible for a pleasure-seeking age which will be harmed more than ever by distilling pleasure even out of asceticism. Friedrich Nietzsche, On the Genealogy of Morals § 3.7, W. Kaufmann, trans., Basic Writings of Nietzsche (1992), p. 543. 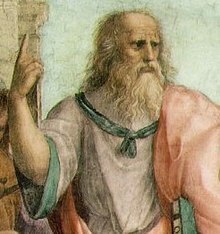 The peculiar, withdrawn attitude of the philosopher, world denying, hostile to life, suspicious of the senses, freed from sensuality, which has been maintained down to the most modern times and has become virtually the philosopher’s pose par excellence—is above all a result of the emergency conditions under which philosophy arose and survived at all; for the longest time, philosophy would not have been possible at all on earth without ascetic wraps and cloaks, without an ascetic self-misunderstanding. To put it vividly: the ascetic priest provided until the most modern times the repulsive and gloomy caterpillar form in which alone the philosopher could live and creep about. Friedrich Nietzsche, On the Genealogy of Morals § 3.10. The most intelligent men, like the strongest, find their happiness where others would find only disaster: in the labyrinth, in being hard with themselves and with others, in effort; their delight is in self-mastery; in them asceticism becomes second nature, a necessity, an instinct. They regard a difficult task as a privilege; it is to them a recreation to play with burdens that would crush all others. Friedrich Nietzsche, The Antichrist, § 57 (H. L. Mencken trans.). Florence Nightingale, in a letter (5 September 1857), quoted in The Life of Florence Nightingale (1913) by Edward Tyas Cook, p. 369. We must enter deep into ourselves, and, leaving behind the objects of corporeal sight, no longer look back after any of the accustomed spectacles of sense. Ascetic Christianity called the world evil and left it. Humanity is waiting for a revolutionary Christianity which will call the world evil and change it. Brevissima ad divitias per contemptus divitiarum via est. The shortest way to wealth lies in the contempt of wealth. Seneca the Younger, cited in Latin Quotations (New York: 2005), p. 14. Natural desires are limited; those which spring from false opinions have nowhere to stop, for falsity has no point of termination. Seneca the Younger, Letter 2, line 6. Anyone entering our homes should admire us rather than our furnishings. Seneca the Younger, Letters, 5 (Robin Campbell trans.). Max Weber, The Rejection of the World and Theodicy. Simone Weil, Gravity and Grace (1972), p. 113. Xenophon, Socrates in Memorabilia, 1.5.4. There never did, and there never will exist any thing permanently noble and excellent in the character which is a stranger to the exercise of resolute self-denial. Sir Walter Scott, p. 532. One never knows a man till he has refused him something, and studied the effect of the refusal; one never knows himself till he has denied himself. The altar of sacrifice is the touchstone of character. The cross compels a choice for or against Christ. O. P. Gifford, p. 533. Self-denial must reach beyond gross and undoubted sins. Sacrifice alone, bare and unrelieved, is ghastly, unnatural, and dead; but self-sacrifice, illuminated by love, is warmth and life; it is the death of Christ, the life of Cod, the blessedness and only proper life of man. Frederick William Robertson, p. 533. Contempt of all outward things, which come in competition with duty, fulfills the ideal of human greatness. This conviction, that readiness to sacrifice life's highest material good and life itself, is essential to the elevation of human nature, is no illusion of ardent youth, nor outburst of blind enthusiasm. It does not yield to growing wisdom. It is confirmed by all experience. It is sanctioned by conscience — that universal and eternal lawgiver whose chief dictate is, that every thing must be yielded up for the right. William Ellery Channing, p. 533. In heaven, we shall never regret any sacrifice however painful, or labor however protracted, made or performed here for the cause of Christ. Nothing is really lost.by a life of sacrifice; every thing is lost by failure to obey God's call. Henry Parry Liddon, p. 533. They that deny themselves for Christ shall enjoy themselves in Christ. John M. Mason, p. 534. The sweetest life is to be ever making sacrifices for Christ; the hardest life a man can lead on earth, the most full of misery, is to be always doing his own will and seeking to please himself. Edward Bickersteth (bishop of Exeter), p. 534. James Freeman Clarke, p. 534. Whoever will labor to get rid of self, to deny himself, according to the instructions of Christ, strikes at once at the root of every evil, and finds the germ of every good. J. A. Froude, p. 534. Which do you think of most, your interest or your duty? Can you sell all for the pearl of great price? Are these the natural breathings of your heart: " Thy kingdom come. Thy will be done? " Is the cause of Christ your concern, the dishonor of Christ your affliction, the cross of Christ your glory? If so,you are not strangers to the spirit of self-denial. The first lesson in Christ's school is self-denial. This page was last edited on 13 January 2019, at 01:19.